It's Fabergé egg-time again! There are SO many little egg-pendants from his workshop out there! This one is very unusual though. It was made by workmaster Feodor Afanasiev, sometime between 1908 and 1917. 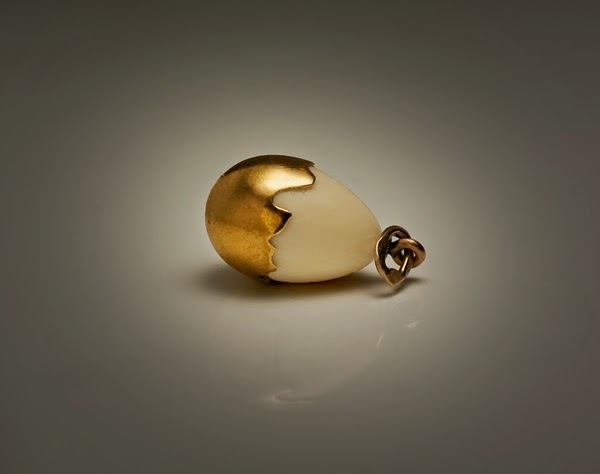 The egg is carved from ivory, and sits in a piece of gold "egg shell". 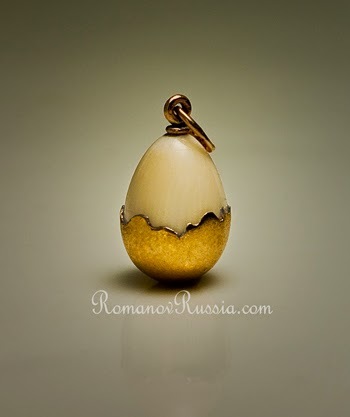 The height of the egg is 3/4'' (1,8 cm), and it was sold to an unknown buyer from Romanov Russia.